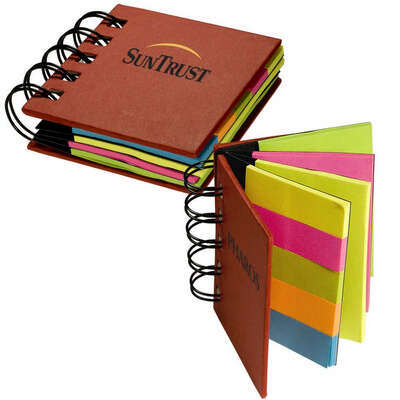 Even in this digital era, people turn to a notepad and pen to quickly jot down important notes. 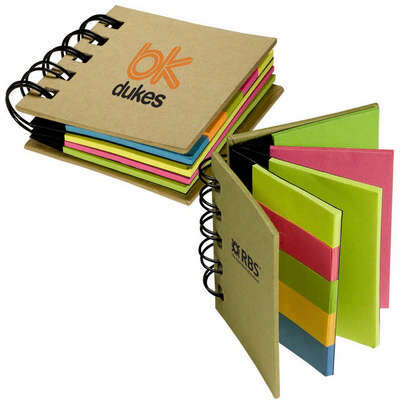 Get your brand message across and help people stay organized with the Four Chapters of Stickies. Even in this digital era, people turn to a notepad and pen to quickly jot down important notes. 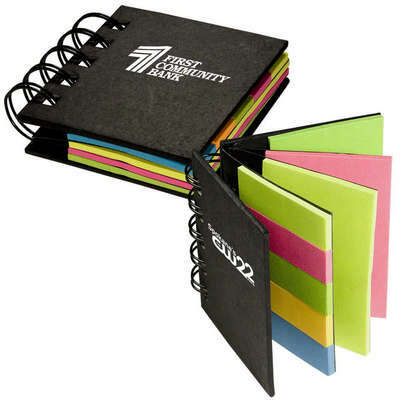 Get your brand message across and help people stay organized with the Four Chapters of Stickies. It includes five assorted sticky page flags of 25 sheets and three assorted 3" x 2" sticky pads each mounted on cardboard backing. The sheets are held together with a double metal ring binding. 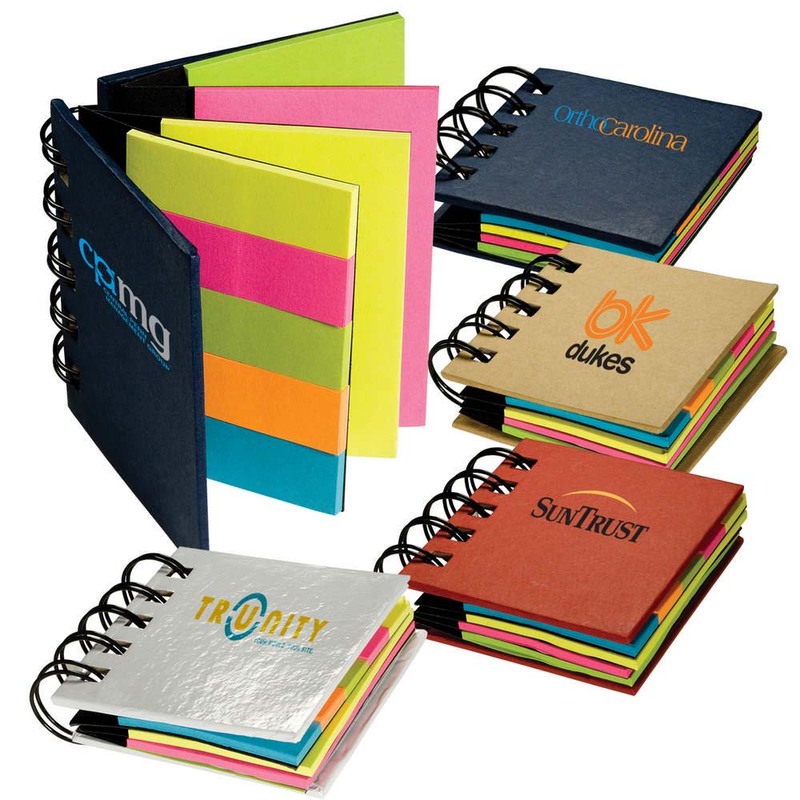 Imprint your company logo and tagline on the sticky cover to make your brand Omni-present. 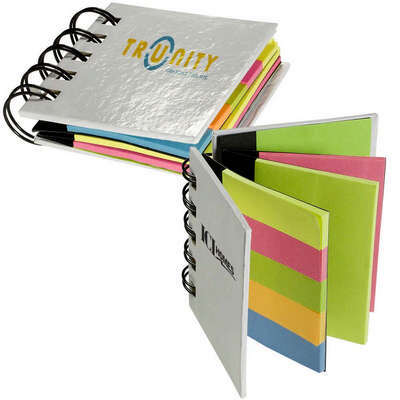 Give away these oft used products at schools, colleges and offices to gain widespread visibility for your brand.